In Part 1 of this series we talked about a strategy for visiting Maine – staying a few days in Freeport, and taking in Freeport shopping and L.L. Bean, lighthouses, beaches, and more. In Part 2, we discussed some ideas for a few days in and around the Bar Harbor area. In this concluding part we’ll talk about some inland options, Moosehead Lake and Baxter State Park. Located about 3 hours north and west of Brewster House, Moosehead Lake is the largest lake in the eastern United States that is entirely within one state. Claiming to have more moose than people, the area is truly a sportsman’s paradise. From fishing, kayaking, canoeing, and whitewater rafting to moose safaris and scenic tours by boat or by air, there is something for everyone. Of course one of the primary activities is moose watching. The Moosehead Lake Chamber of Commerce has some tips for moose watching to get you started. 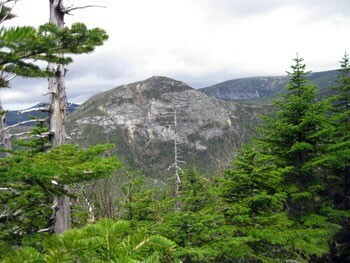 North and east of Moosehead Lake is Baxter State Park and Mount Katahdin. Less than 60 miles away, the drive takes about two hours, because of the mountain roads. Baxter is filled with wonderful hiking trails, rock climbing, and magnificent views. Hiking or climbing Mount Katahdin can be a great challenge, with elevation changes of about 4,000 feet, depending on the trail chosen. Be sure to review the warnings and hiking safety information provided by the Baxter State Park Authority website. Enjoy your visit to Maine!